EX/VG+ 1 15 1370, orig. early 1970s copy, Also feat. 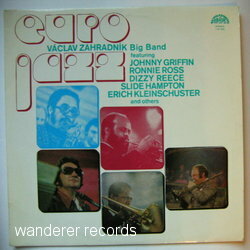 Ronnie Ross, Dizzy Reece, Slide Hampton, Erich Kleinschuster. Hairlines on vinyl. Front is EX, back shows faint rw.